The Gilkey Trench offers many spectacular sights. 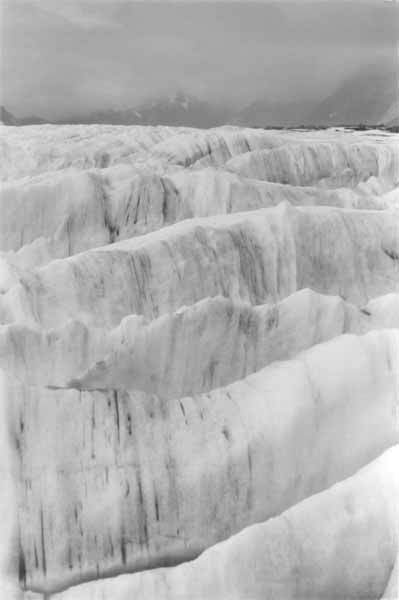 This is a series of radial crevasses on a wave bulge near the base of the Vaughn Lewis Icefall. Also note the flow foliations: prominent streaks of dirt in the ice.